It is a truth universally acknowledged that a car needs four first-class elements to make it a winner, that each element is as important as another, and that if any element is below par sustained winning is impossible. To win the Constructors’ Championship, a team’s cars must have the best chassis/aerodynamic package, the best engine, the best drivers and the best tyres. 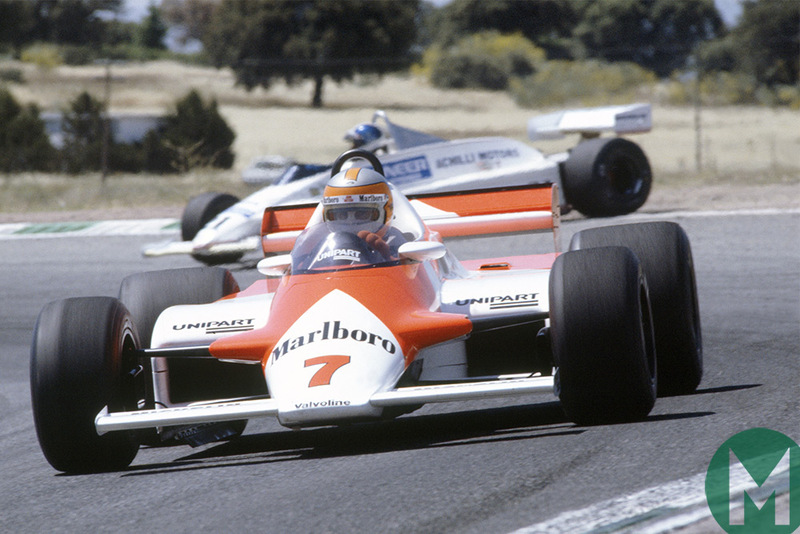 At the beginning of the 1981 season, of these four McLaren had only one — the best chassis/aerodynamic package. 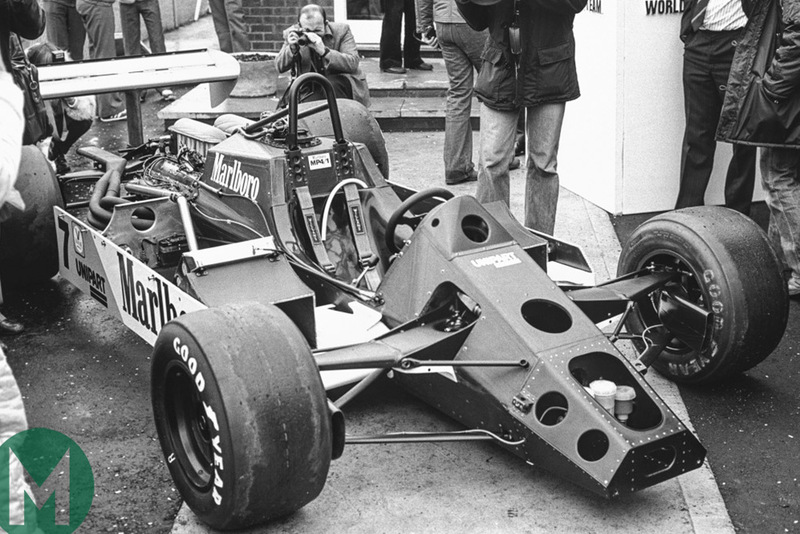 The Cosworth engine lacked the power of its turbocharged rivals and the Michelin tyres were causing all sorts of grief. As for drivers, John Watson was very good but his new team-mate, rookie Andrea De Cesaris, was not. "With Prost gone, we were faced with a hole in the team and that was, unfortunately, when the opportunity for De Cesaris to be imposed upon us presented itself. Aleardo Buzzi [Marlboro European President] was saying that De Cesaris’s father was a distributor of [Philip Morris] product and that Andrea was more than capable of doing the job. So obviously we had to run for some time with Andrea." Barnard had built the most advanced and expensive race car in the world so, as Hogan had put it, "It had better bloody well win." Barnard adds: "De Cesaris seemed nervous. I thought the stress was just too much for him to handle." John also complains that he was poor at providing feedback to his engineers — a big flaw. 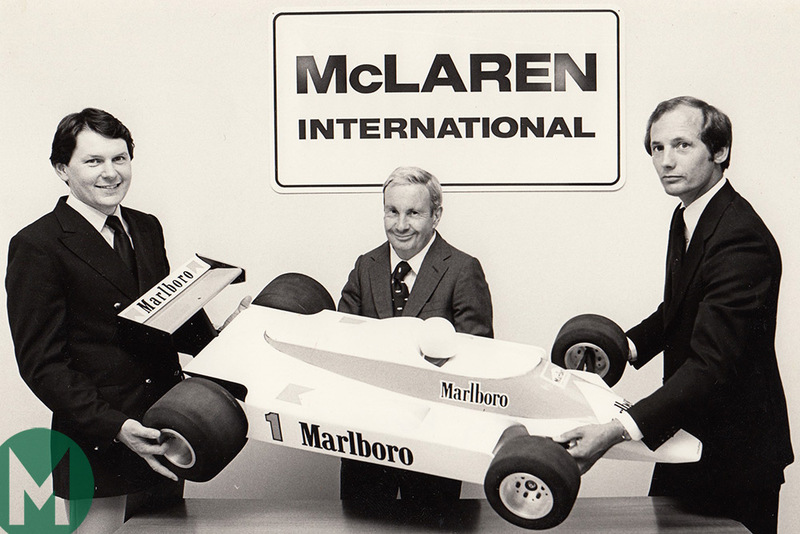 By early 1981 Barnard had reinforced his design office with three existing Team McLaren people — Mike Lock, Colin Smith and John Baldwin. The team was busy fitting the MP4 with glass-fibre bodywork, newly designed front and rear suspension, and a Cosworth engine complete with a gearbox casting that Ron Dennis had secured from Tyrrell. Work was also continuing in the wind tunnel. Alan Jenkins recalls John’s typical day, which involved going home for lunch, coming back, going home for dinner and returning again: "I remember coming back in the evening to run through the wind-tunnel tests with him. He had babies coming along, so he had a priority to spend some time with his family, and why not." Rosie, John's wife, gave birth to their second daughter, Gillian Ann, on Friday 6 February 1981 at around 8am at Farnham Park Hospital in Guildford. John made sure that this time he was there: "I remember the nurse coming into the waiting room and declaring, 'You’ll want to be there at the birth', before pushing me into the room. I think I was a bit reluctant. I remember Gillian was born with no hair, and stayed bald for 18 months. I’ve always joked it was because the sight of her father at the moment of her birth was such a shock." The shock, perhaps, was mutual. The MP4 was now complete and first ran on 5 March at a test session at Silverstone. Now Ron Dennis’s mission was to reward his old friend John Hogan for the massive risk he had taken in persuading his bosses to finance the fledgling team and the brand-new technology. Barnard had built the most advanced and expensive race car in the world so, as Hogan had put it, "It had better bloody well win." John Barnard flew back to his old California stomping ground for the first race of the season, the United States Grand Prix (West) at Long Beach on 15 March. The sights for the new car had been set high, Ron Dennis having told John Hogan, "You’ve made the best investment of your life — Barnard’s car will win at least one Grand Prix this year." It was a bold claim from a man totally new to running a Formula 1 team and one that Barnard himself would never have made. Such was the bravado of Ron Dennis. Long Beach showed how easy it is to talk the talk. 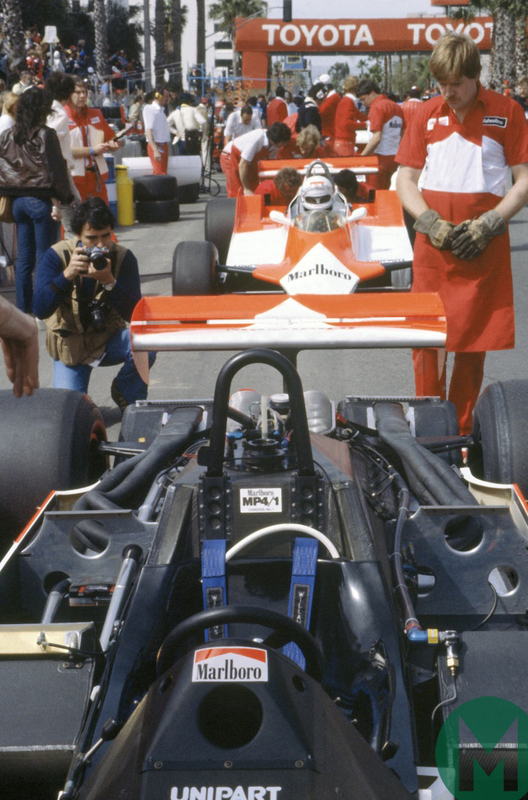 Pre-race practice and qualifying sessions revealed that John Watson’s MP4 had problems with fuel pressure and its exhaust system, the hot pipes of which burned the bodywork. 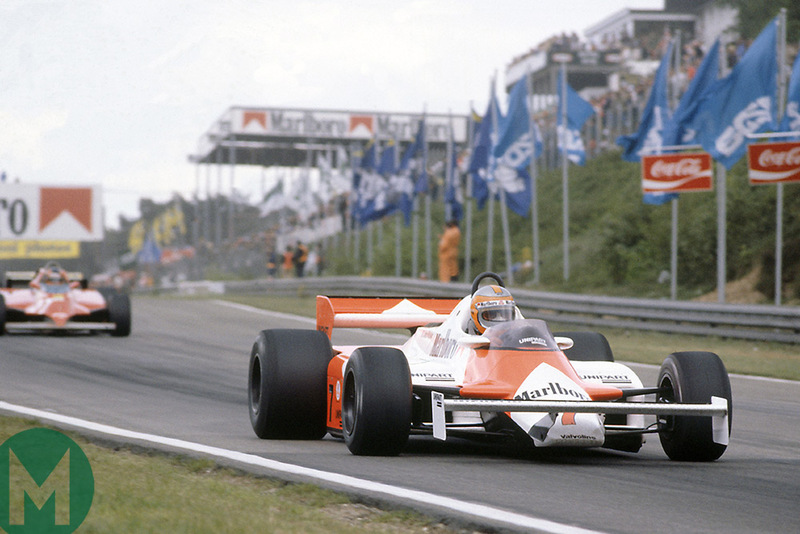 In the end Watson qualified in a back-up M29 on the last row of the grid, one position behind his team-mate’s M29. ‘De Crasheris’ promptly had his first crash of the season, on the first lap. Watson only made it to lap 16, retiring with engine trouble. Barnard was embarrassed: "It looked bad, really amateur, made worse by being on Hercules’s home ground." The singleton MP4 wasn’t taken to Brazil, two weeks later, after wet weather in England prevented Barnard from completing further tests with it, so its next appearance — and race début — came in Argentina on 12 April. Watson qualified 11th and got up to sixth place in the race until, on lap 35, he felt a sudden vibration at the back of the car. To a groan of disappointment in the McLaren garage, he retired soon after with transmission problems. 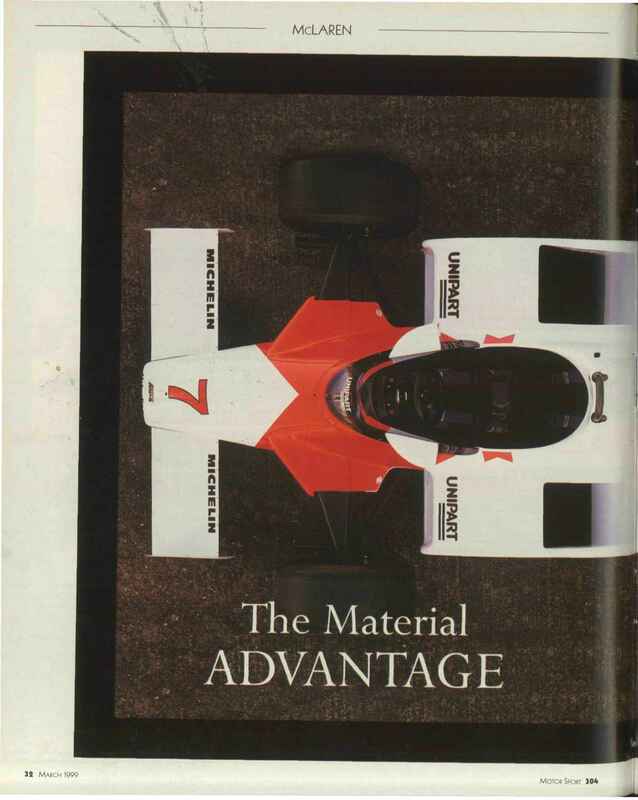 A second MP4 was ready for the San Marino Grand Prix at Imola on 3 May and both cars were available to Watson as Barnard wasn’t yet ready to entrust one to De Cesaris. Perhaps because he was fired up in front of his home crowd, the Italian driver, to everyone’s surprise, finished sixth in his M29 while the team leader in his chosen MP4 could only manage 10th after hitting the back of a Renault on the fifth lap. 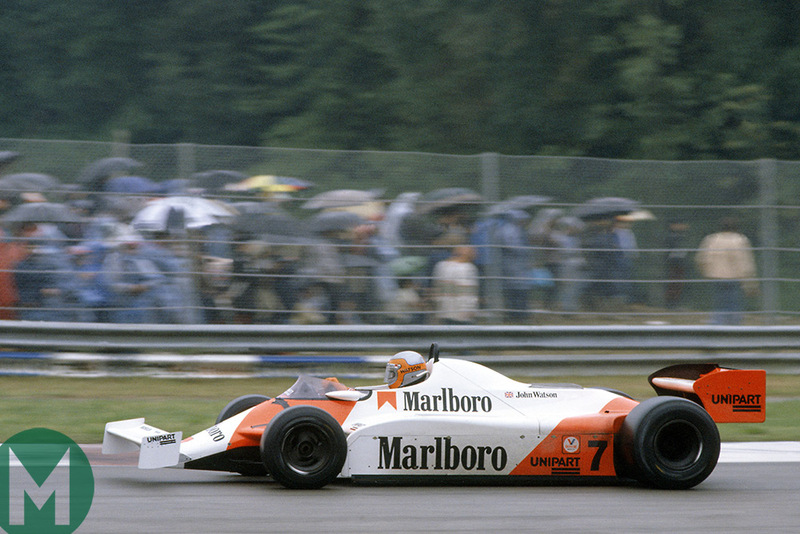 The next race, at Belgium’s Zolder circuit on 17 May, brought slight improvement with Watson seventh in one of the MP4s, while De Cesaris, still in an M29, went out with gearbox trouble on lap 11. 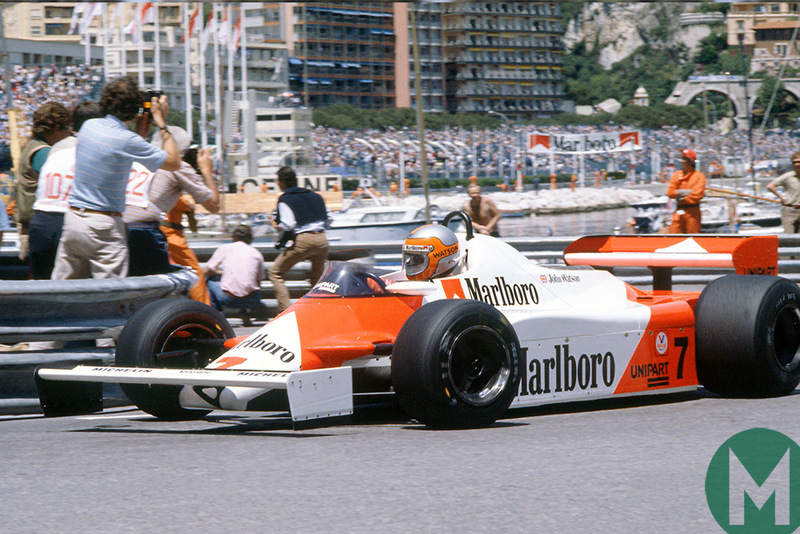 At the Monaco Grand Prix, where John and Ron bit the bullet and gave De Cesaris an MP4, things were no better — neither driver finished. As at Long Beach, De Cesaris departed the field after some wild driving on the first lap, first hitting Prost’s Renault and then taking out Mario Andretti’s Alfa Romeo, much to the eye-rolling irritation of Barnard. Watson lasted until lap 53, when he retired from fifth place with engine trouble. Fortune, it seemed, was reluctant to favour the brave new car, but at least it was getting a thorough testing of its impact resistance. 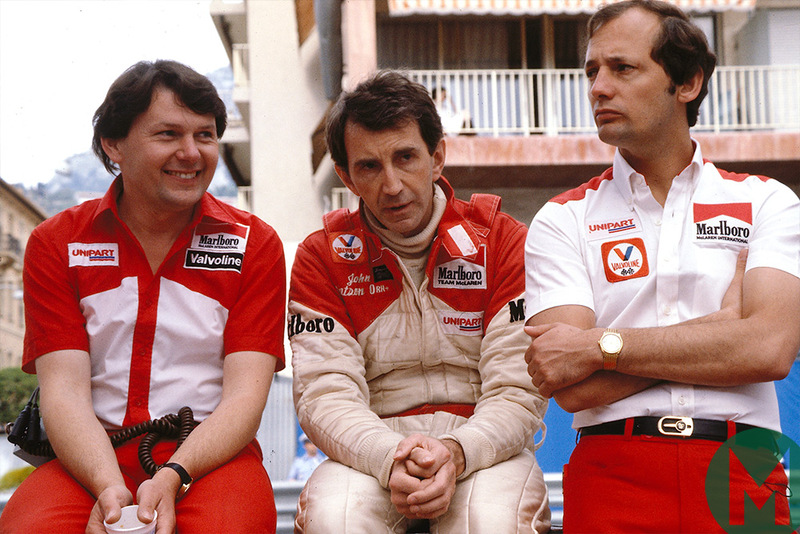 Ron Dennis’s nervous tick of a smile was wearing out his lip muscles. But if the wheel of fortune turns downwards, then so must it rise again upon the other side, and things took a turn for the better at Jarama in Spain. Before the race Barnard made some changes, creating new skirts and adding scoops to duct air around the brakes. The outcome was that Watson qualified third, while De Cesaris also looked destined for a good grid position until he spun off and damaged the car. Come the start, Watson’s MP4 was part of a race-long train at the front, one of four cars queued tightly behind Gilles Villeneuve’s Ferrari, unable to get by because the Italian car’s turbocharged power advantage outstripped the superiority of its rivals through corners. That situation stayed unchanged right to the chequered flag, with Watson third, only half a second behind winner Villeneuve. As for De Cesaris, he spun out on lap 10. 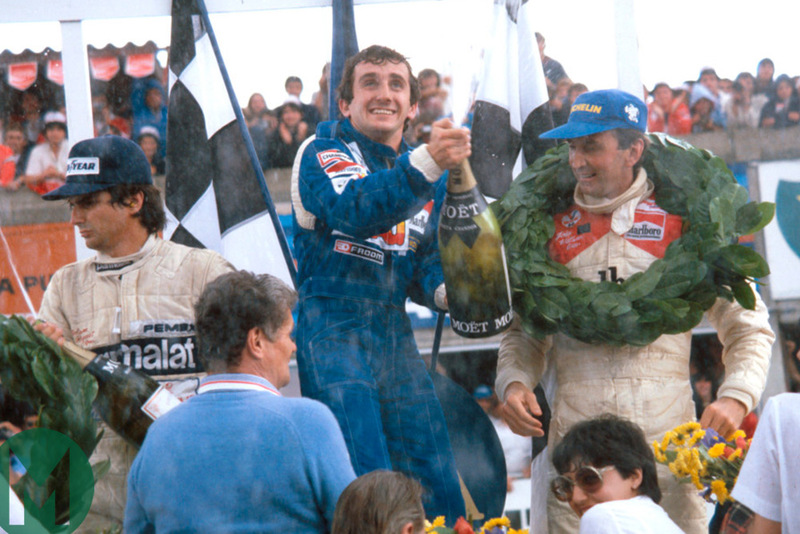 In the race Watson joined battle in sunshine and rain with his former team-mate, Alain Prost, and came in two seconds behind the Frenchman’s Renault. They congratulated each other on the podium, recalling the horrors of the previous year when they were driving for a dying Team McLaren. The Perfect Car (RRP £40) is published by Evro Publishing. You can buy signed copies from the Motor Sport shop.